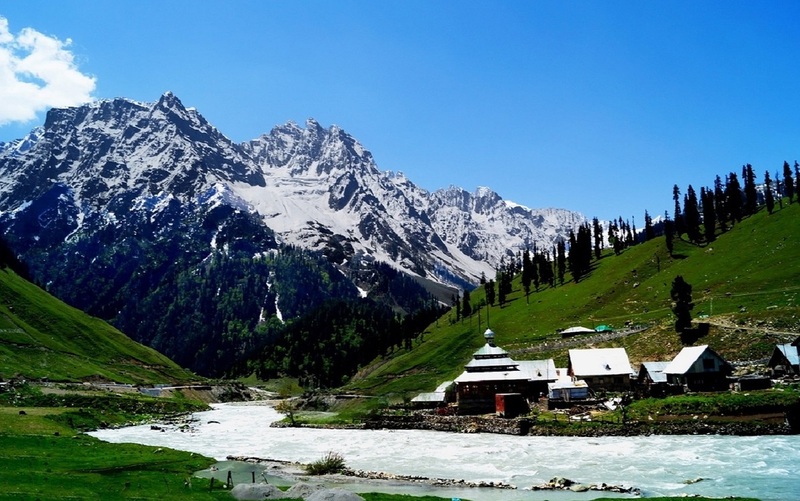 Kashmir is famous as the crowning glory of India and is often referred as paradise on Earth as it's beautifully cradled in the lap of the Grand Himalayas. In the southwest of Kashmir lies the Pir Panjal Mountain Ranges and in the North-East is the Pangi Range, while we have the majestic Ladakh Ranges and Lidder Valley on the North as well as the Kolahoi Massif. There is a lot to explore in this paradise. Lakes, Rivers, Alpine Meadows, Snowy Peaks and Lush Valleys filled with orchards. There are beautiful shrines and mosques as well as house boats built in unique Kashmiri Architecture. There is no dearth of connectivity in Kashmir as there is sufficient road network, air and bus links. Also there are good quality hotels, shops and restaurants. You can also get a luxury holiday on a house boat at comfortable prices. You can engage in Winter Sports such as Ski, Trout Fishing, Gondola Rides, as well as enjoy a round of Golf at the majestic Gulmarg Valley at 8500 feet. Due to internal dispute and instability there has been a fall in tourist due to security concerns. However no unpleasant incidents involving tourists have occurred since more than a decade. Still we advice you not to venture out in Kashmir without company of a local guide. Trekking in Kashmir is not just a trek over a mountain, the landscapes keep shifting as we progress through our trek. At first we come across Chinar Trees, which are replaced by fir, pine and oak and then gradually as we progress they get replaced by Birch Trees. In higher altitudes it's just meadows and colorful wild flowers which are then replaced by rock and snow. While there are simple villages which will greet us in the beginning with fruit orchards and paddy fields, later on they get replaced with Nomads or Herdsmen with their animals who are constantly crossing the high mountain passes with their cattle in search of greener pastures.